This year I want to go for holidays somewhere in Latin America, can’t decide yet. So many countries, so many things to see, so much food to enjoy. My list of countries is a bit too big for two – three weeks of holidays: I would like to go to Argentina – I love the passion in a tango dance (my dancing obsession again), Colombia is on top of my list too, so much culture, nice food, great people, beautiful scenery, then there is Peru – I want to see Machu Picchu so much, Nicaragua – friendly people and beautiful surroundings. Well, I will stop here, I want to see all of them all, however I have to choose only one …ok, two if I stretch it a bit. So, my dear guest, do you have any recommendations? What is your favourite country in Central and South America? Where would you recommend me to go? I like a bit of culture, a lot of good food, some relaxing places and loads of sun :). 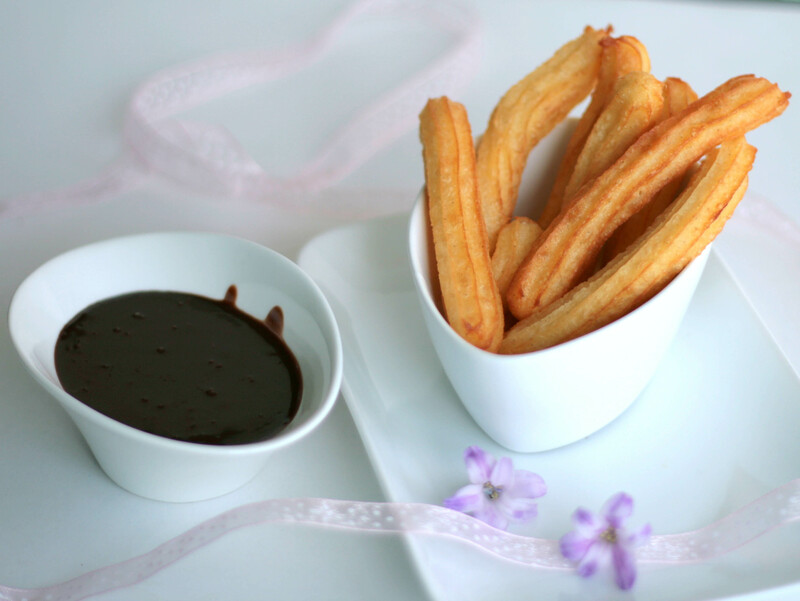 And to get into the right mood I made some churros con chocolate. They remind me of holidays, carefree time, sun, fun, sea breeze. The recipe is very similar to that I use for eclairs or choux, only than instead of baking the dough you need to fry it. 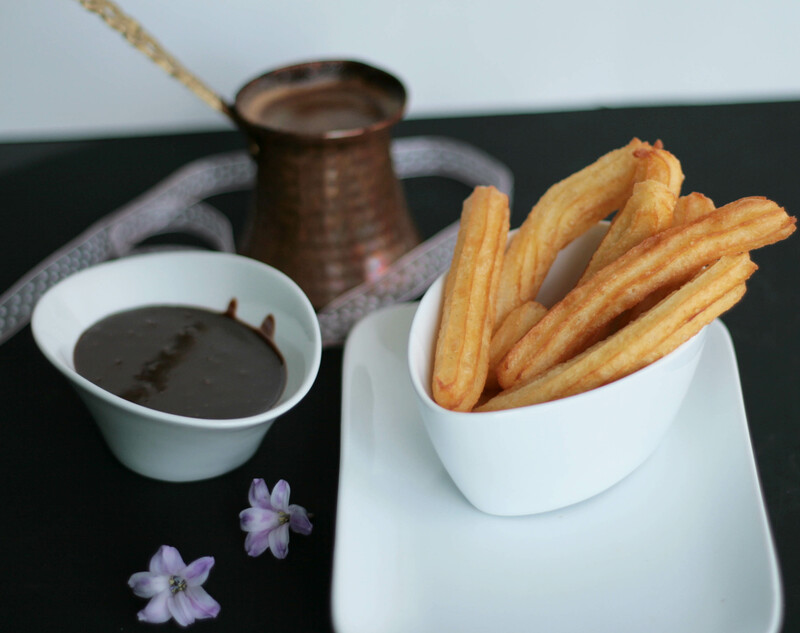 As a final touch, the churros can be sprinkled with sugar and cinnamon, however I prefer them with CHOCOLATE. Bring the water, milk, butter, sugar, vanilla and salt to a boil in a saucepan. Add the flour at once and mix well with a spoon until the dough comes together and it forms a ball. 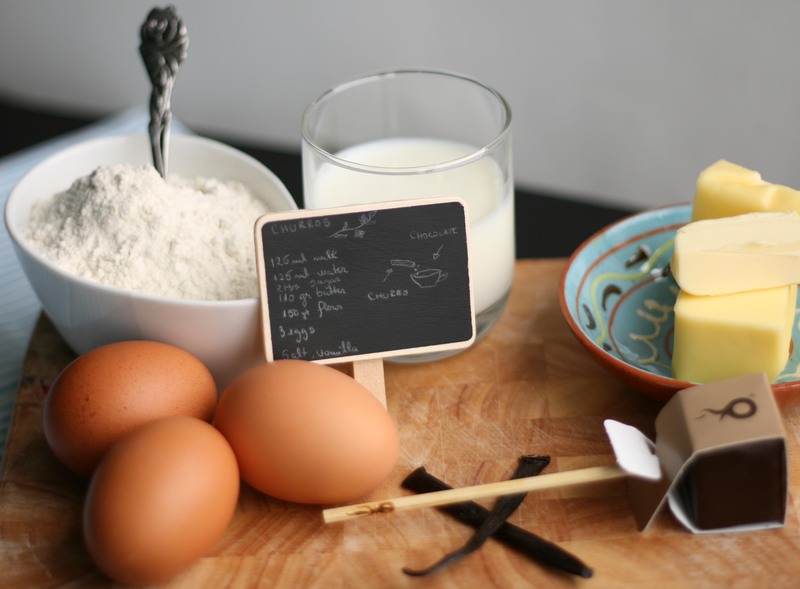 Cool the dough slightly and then start by mixing one egg at a time. Mix until the dough is smooth. Transfer the dough in a pastry bag fitted with a stary tip or a churrera. 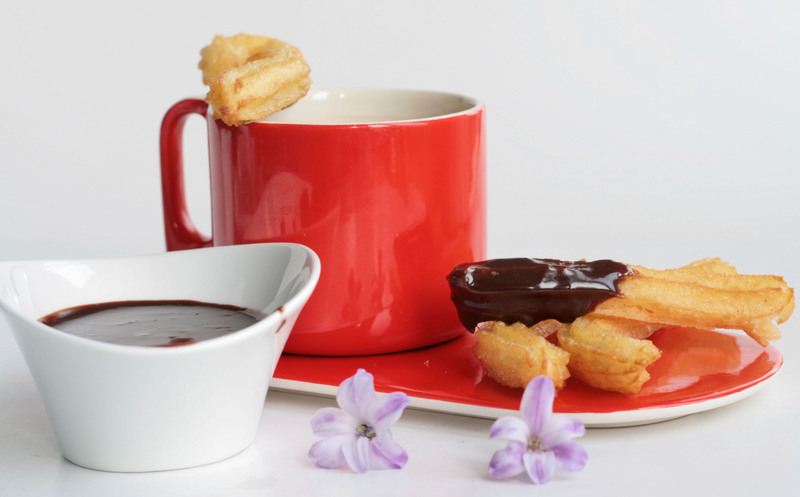 Deep fry the churros in sunflower oil or canola oil at 150-175 C until it reaches a beautiful golden colour. 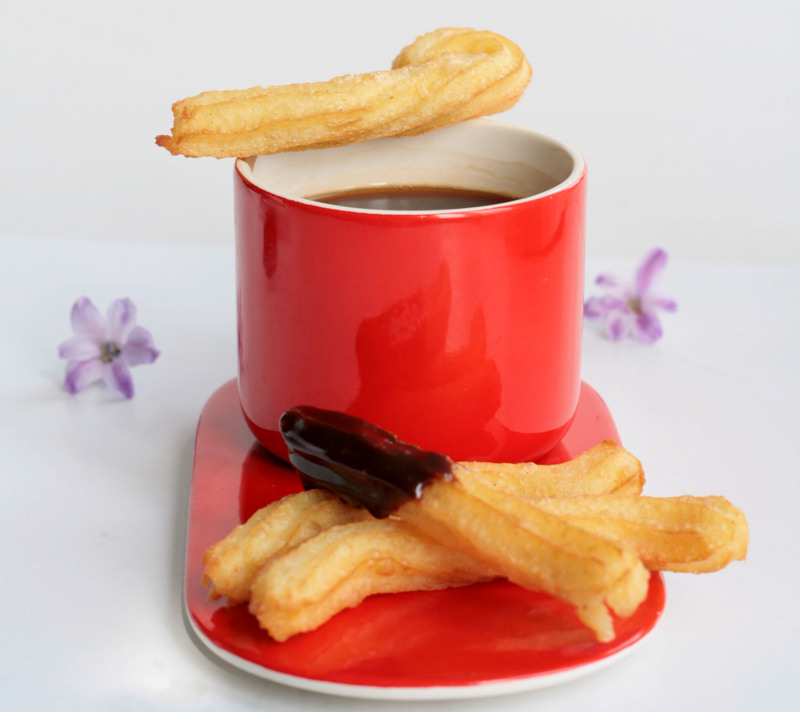 Drain the churros and serve them hot with chocolate or cinnamony sugar. 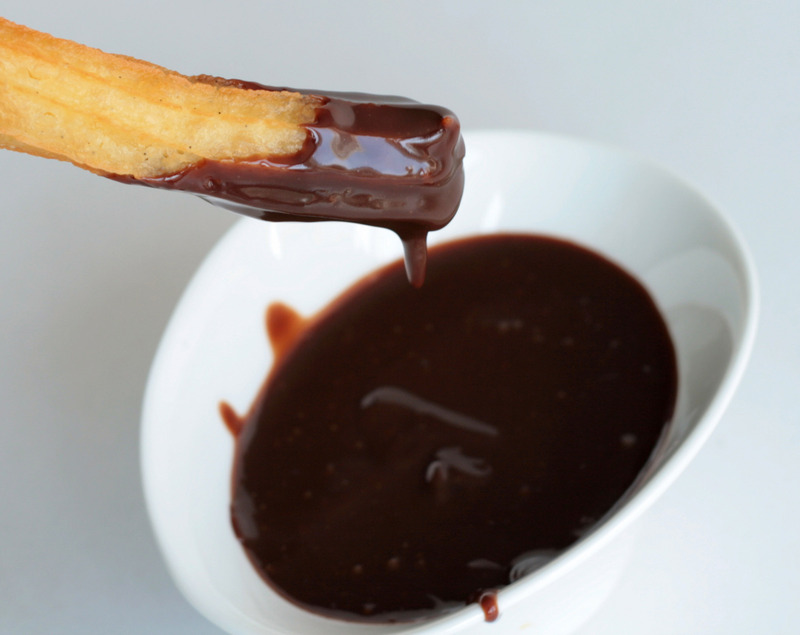 Your churros and chocolate look amazing. I hope you get to go to Argentina soon!